Avocado Butter exhibits excellent penetrating qualities and good spreadability on the skin, making it ideal as a massage butter or carrier for treatment products. Avocado Butter adds moisturizing attributes to creams, lotions and bar soaps and exhibits low comedogenicity on the skin. Avocado Butter is obtained from the fruit of the Avocado tree (Persea Gratissima) which grows in sub-tropical regions of the world. The butter is created by blending the Avocado fruit oil with hydrogenated vegetable oils to produce a soft, greenish butter with mild odor and excellent melting properties suitable for skin care. May be used in all types of soap and toiletries to improved moisturization and soften rough, dry skin. What a great product! I made a batch of body butter last night for a friend who has very dry itchy problem skinn using some of the avocado butter mixed along with other butters that I bought from Soapgoods. I tried it first after my shower and what a very nice feeling it gave my skin...smooth, silky, and moisturized. I love Avocado Butter, especially from Soapgoods. Their quality and price is unbeatable. 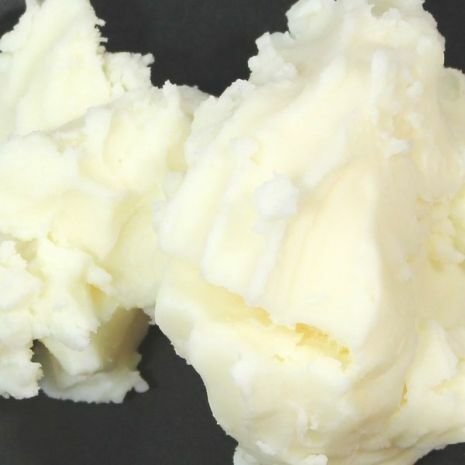 This is a skin-loving butter: perfect for use in soaps and lotions. I will not hesitate to purchase again from Soapgoods. "Great avocado butter and its very creamy. I use this wonderful butter in my signature body butter known simply as (Drea). It has many theraputic properties and sure to please. Give it a try and see for yourself. This butter is AMAZING! I am about to deliver a baby any day now and I've used it for the last 3 months of my pregnancy. No need to add anything to it, just use it right from the container. It has been a lifesaver keeping my skin feeling healthy from head to toe. Even better for those days where the skin on my belly felt like it was going to tear open from stretching. Goes on so smooth and doesn't feel gross or sticky. And the best thing is, it is odor free. Most body butters I can't even use during pregnancy because the smell makes me sick to my stomach. Great product!! LOVE this butter! We will only buy ours at Soapgoods! This blend is fabulous! We love it in our belly butter!! This butter is absolutely wonderful. It has such a long lasting affect on the skin without feeling greasy. Definitely will be buying again.